Comparisons to the great Sade Adu aside, Nigerian Afro-Soul/Jazz songstress and composer Teni is an African star in her own right, with the likes of Afrobeat co-creator Tony Allen, the BBC and original Rock bible NME counted as huge fans of hers. Her latest single ‘Your Love Is The Key’ is a stunning and sensual number which sees the eclectic musician match her sultry captivating vocals to a slow-burning Afrobeat infused groove-filled dance milieu, to stunning effects. Shot in Labadi Beach i Accra, Ghana and directed by Kemist Gold, the visuals for ‘Your Love Is The Key’ is a simple, natural and ethereal experience which not only accentuates the sultry uniqueness of the single but also pays homage to early 80's photo-cinema and music. In full diva mode, Teni is glorious as she channels her sensuality and shows off her beautiful African silhouette - rendering her viewer in awe and fully spellbound. 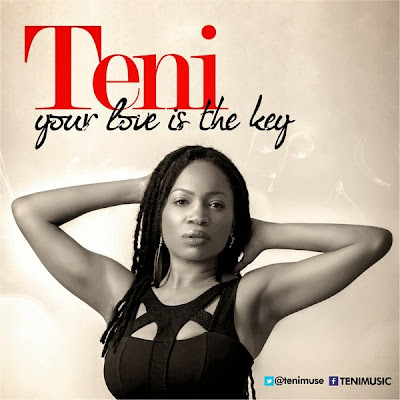 Her debut album ‘Afrodisiac’ has been described as a timeless, soulful Jazz and Afrobeats inspired classic and Teni is set to revolutionize music with an epic new sound that transcends genres - from Jazz and the Blues to Soul and Reggae - to have a strong, truly universal message. Enjoy her brand new video for ‘Your Love Is The Key’ below and prepare yourself for what she has in store for us in 2014.